Joseph Alcott is a member of the Oklahoma Air National Guard and was a top finisher in the Fit First Responders 25 Week Challenge. His life before the Fit First Responders Challenge was pretty standard, just going through the motions. He was doing okay physically, but his annual fitness test scores were slowly declining. He had convinced himself that this is just what happens when you get older. Spiritually Joseph was going to church on a regular basis but again was getting in a rut and just going through the motions, but still growing just at a slower pace. Joseph learned at FFR that you have to push yourself spiritually like you do physically to see change in your life. 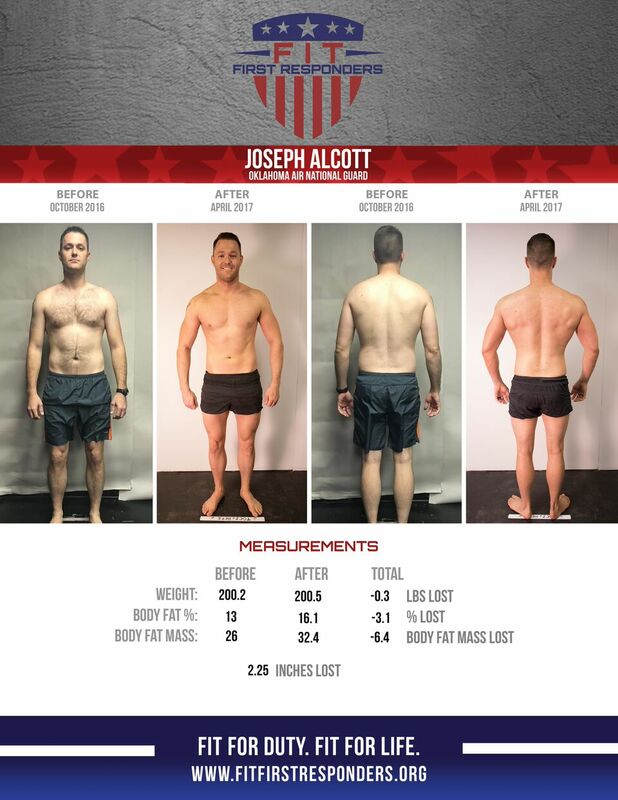 Physically Joseph lost no weight at all…..but his body fat percentage dropped 10%. Joe exclaims, “That is huge!!! !” He could not believe the physical transformation when he saw the before and after photos. FFR has made Joseph a more positive supervisor. One thing Coach JC said to them was “Have a negativity detox. 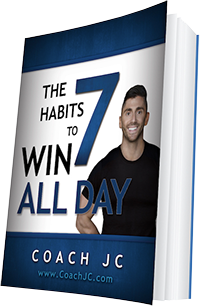 Remove the negativity for this week and see the difference it makes.” Joseph was surprised how negative he had become when he purposely stayed positive even when he wanted to be negative. That small correction helped him to be a happier and better supervisor. A side effect of that was noticed as Joseph saw others in his work area start to be a little more positive.